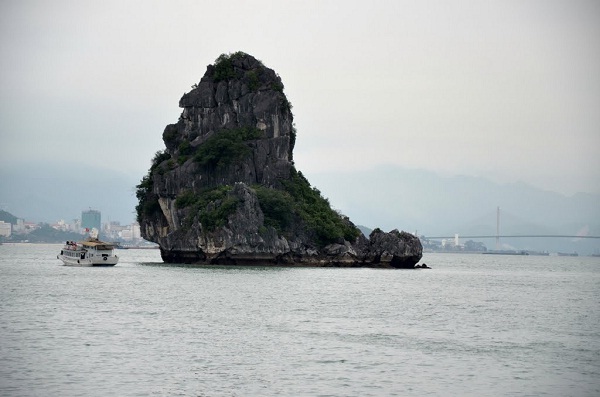 Travelling to Halong bay on cruise with a Halong bay cruise tour will not be completed if tourists do not visit Cho Da Islet (Stone Dog Islet). Cho Da islet ( Stone dog islet) seems to be a symbol which saves tourists in the yachts. Therefore, when visitors recall Cho Da islet, this symbol will be mentioned at first. 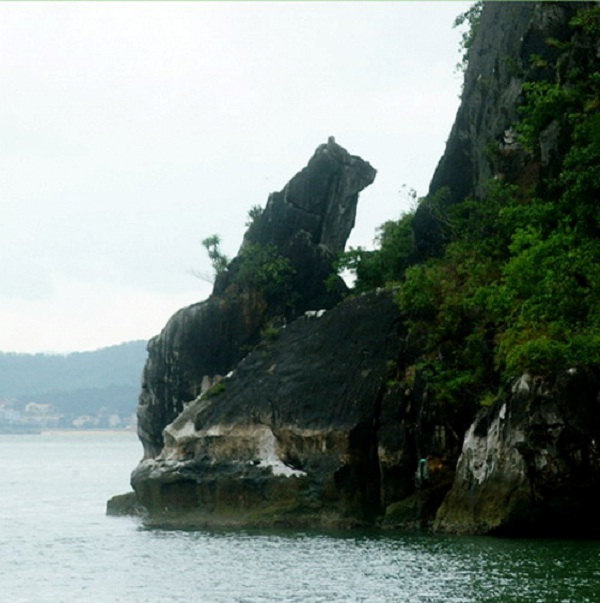 Cho Da islet which is near Dau Go cave to the west is among 1969 islands in the amazing Ha Long Bay. 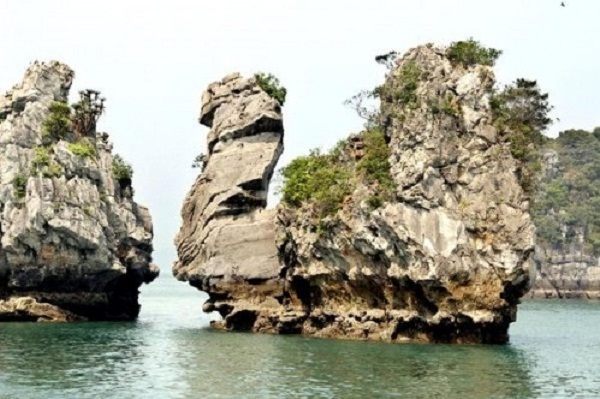 The name Cho Da stems from the shape of stone which looks like a dog turns its back to the sea. The height of Cho Da islet is about 8m and this islet looks like a great stone dog which guards the gate. Cho Da (Stone dog) is familiar to Vietnamese people; you can see it in folk temples or pagodas even two sides of a gate of some ancient houses. People use Stone dog for not only safe purpose but also informing purpose. 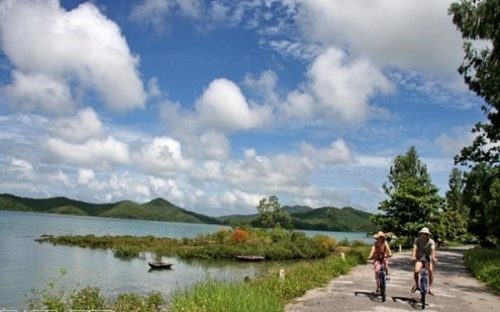 Thien Nga islet locates in the heart of Bai Tu Long bay, right next to Cong Dong island and Cong Tay island. 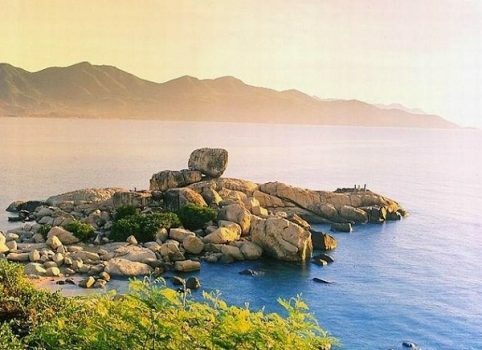 Thien Nga islet has beautiful shape and is regarded as the most impressive mountain. This islet include three big stones that situated ties stacked with oblique cross-fractured surface. Three rocks look like overlapping over each other. The height of Thien Nga Islet is about 15 meters compared to the sea level and it seems like collapsing into the sea. The two above rocks shape a head and neck of the swan. And the rest of rock form swan body which looks like swimming deliberately on the sea and losing its herd. 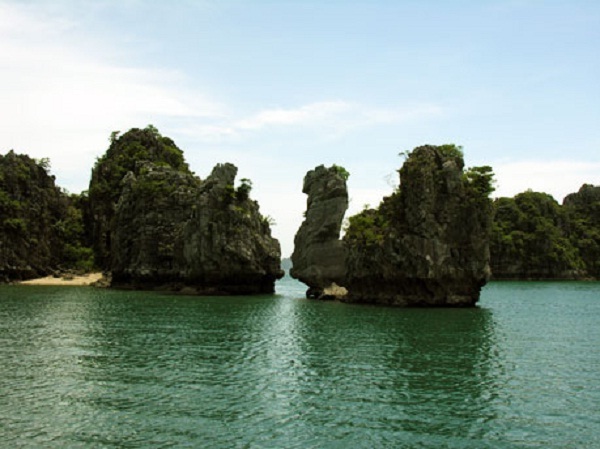 You can always have a sightseeing of Thien Nga islet and Cho Da islet whenever you travel Ha Long Bay all year round. It is easy to book a tour for Ha Long Bay even from Hanoi or online. You can book a day and a night cruise on a boat traveling around the bay such as Halong cruises, Halong bay tours, Halong bay trip, etc. Pre-booking via a travel agent or your hotel in Hanoi will be a good recommendation for you to have much safer and cheaper option.